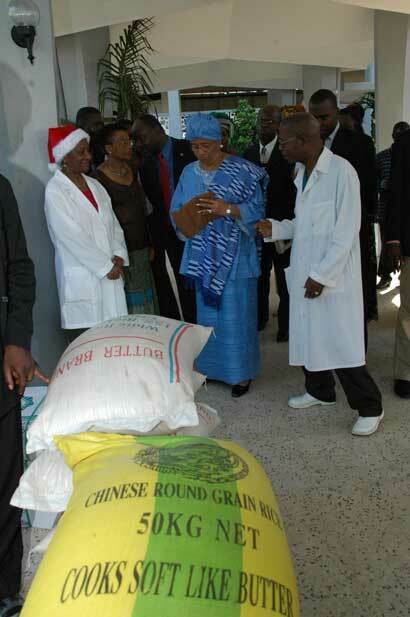 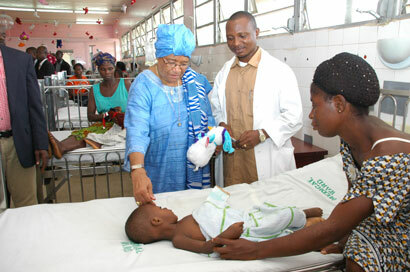 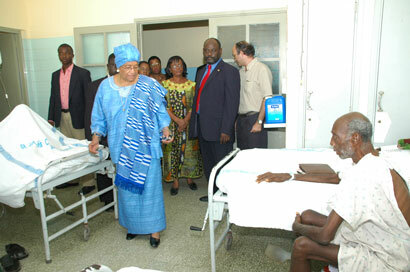 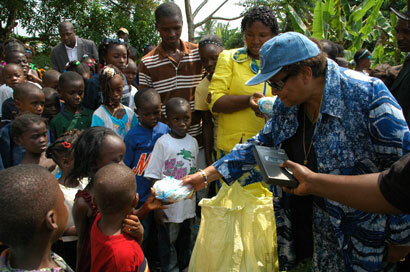 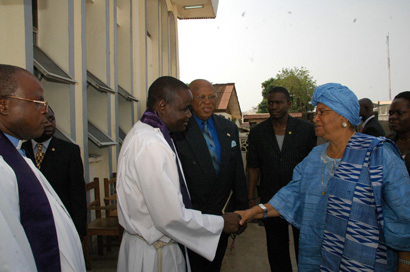 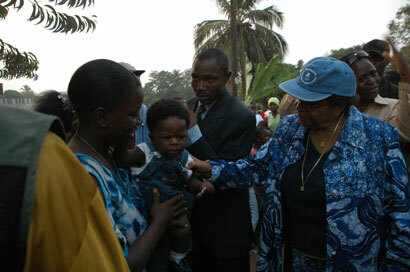 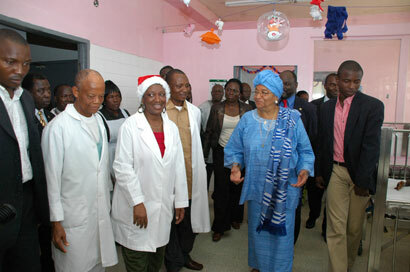 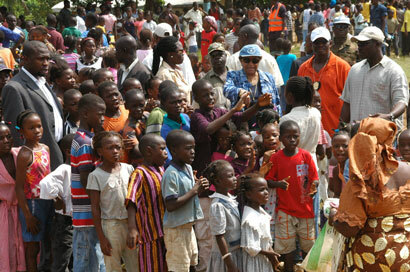 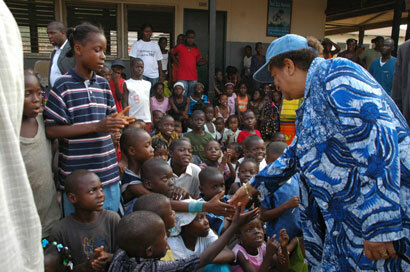 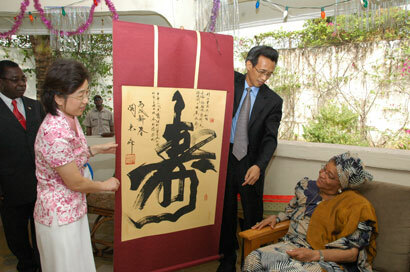 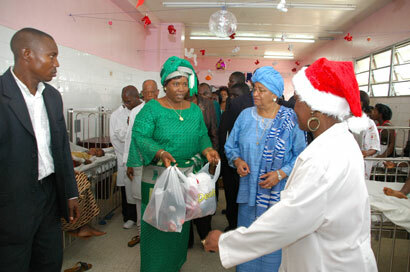 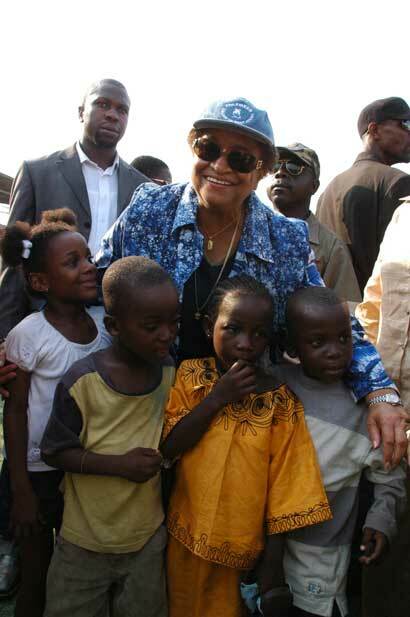 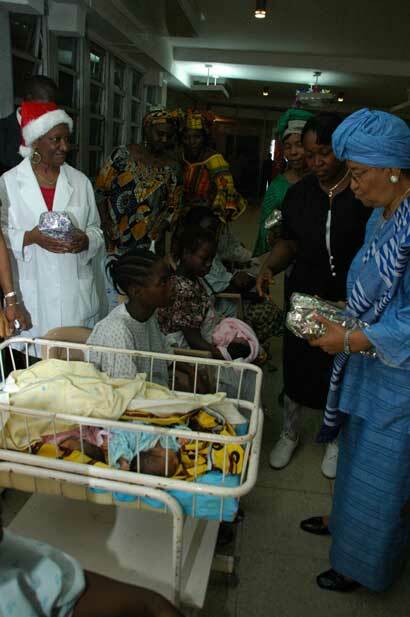 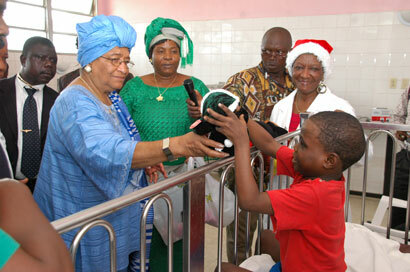 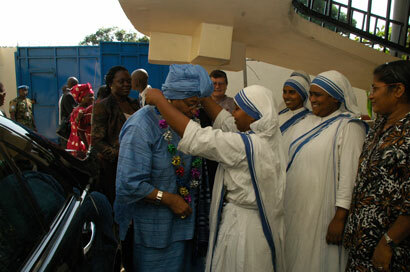 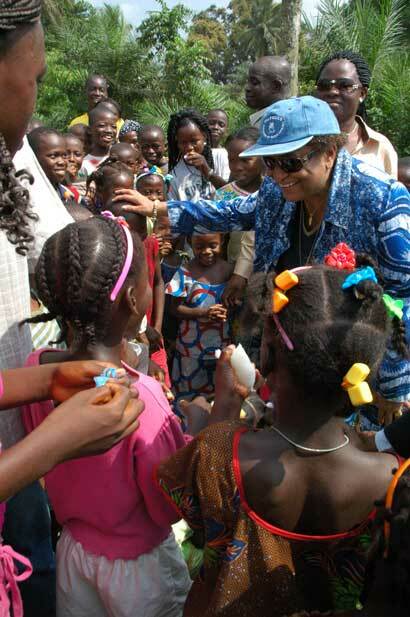 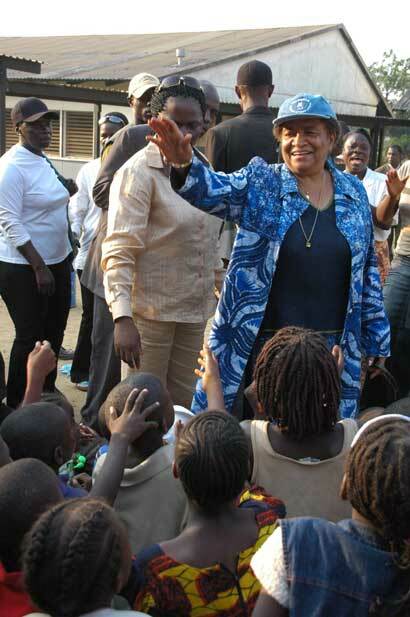 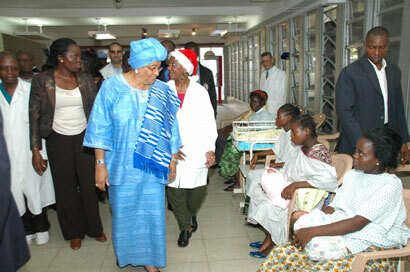 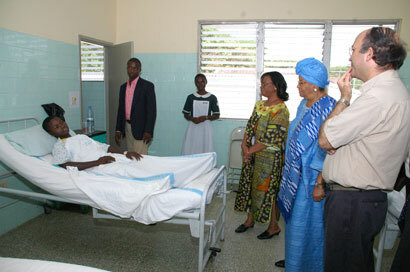 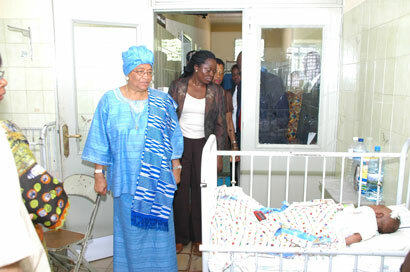 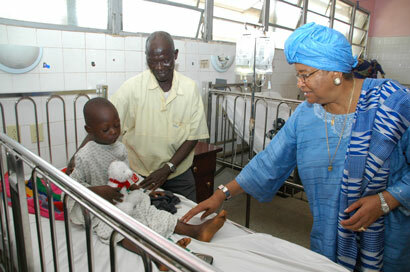 President Ellen Johnson Sirleaf observed this year's Christmas by visiting a number of individuals and institutions. 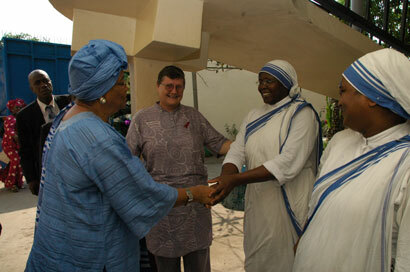 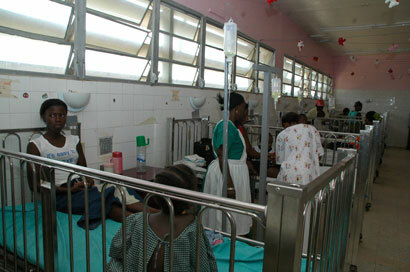 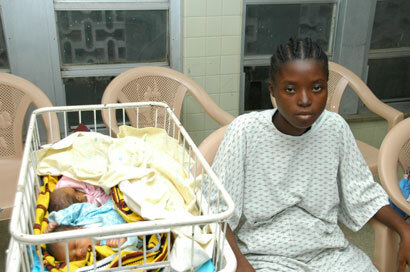 Some of the institutions visited included orphanages, hospitals, churches, and church-run institutions. 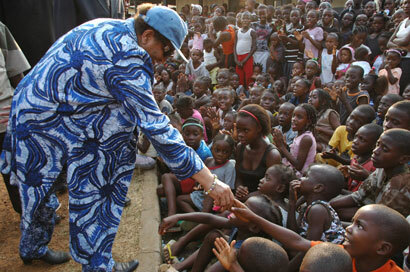 President Sirleaf Suspends Deadline for 72nd Barracks Eviction. 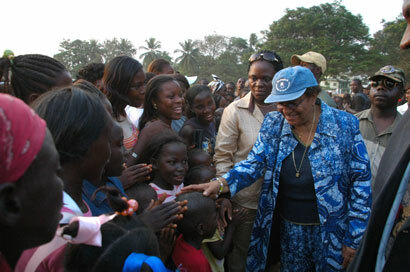 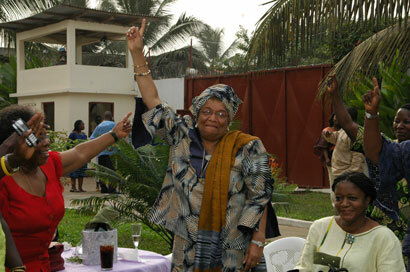 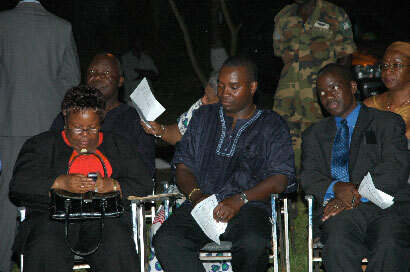 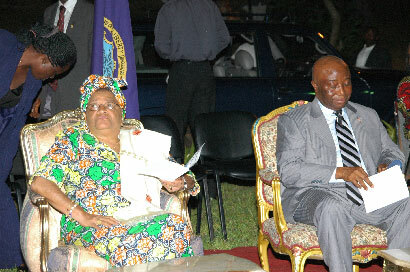 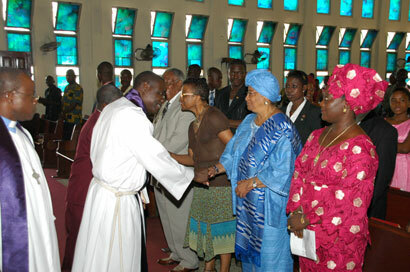 President Sirleaf Launches Two-Day Youth Peace Building National Conference; Visits Late Cllr. 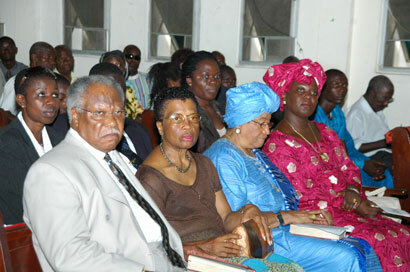 T. C. Gould Family. 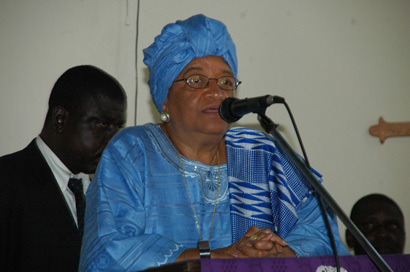 President Sirleaf Makes New Appointments at the Ministries of Foreign Affairs, Labor, the Judiciary and Grand Bassa Community College; Dissolves GBCC Board of Trustees for Reconstitution. 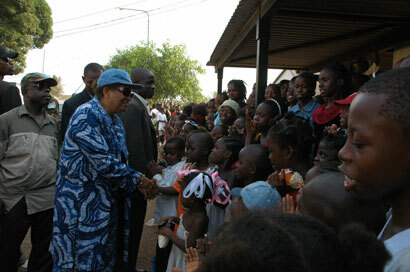 President Sirleaf Admits Former Kuwaiti Prime Minister � Al Sabah Into Venerable Order of Knighthood of Pioneer. 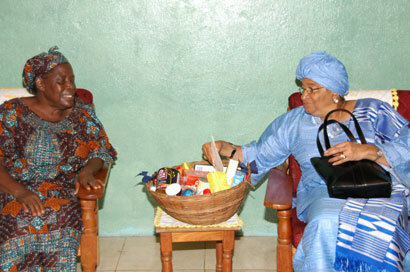 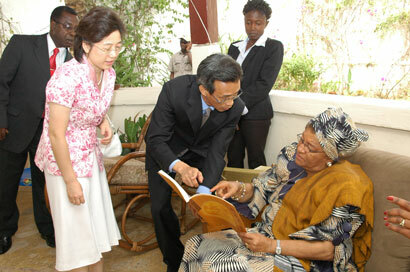 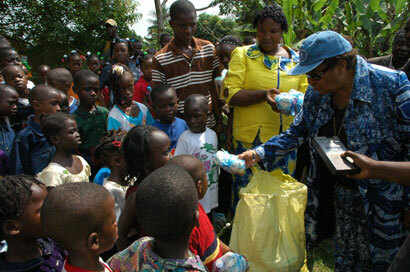 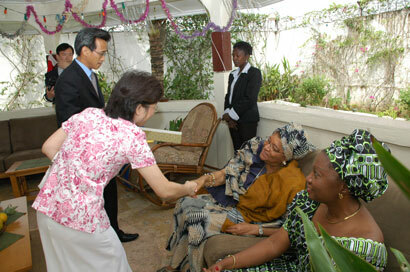 President Sirleaf Receives WFP Regional Director; Calls for Collaboration. 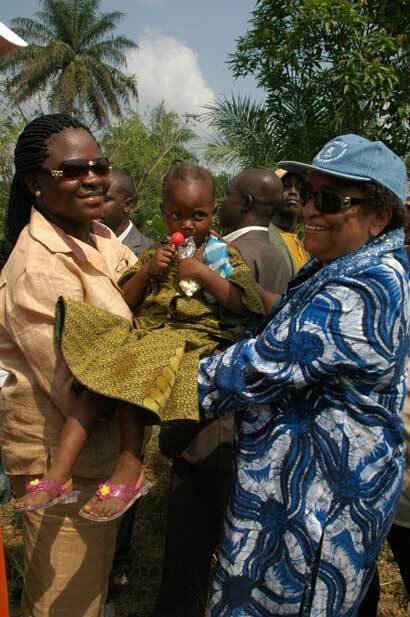 President Sirleaf Arrives in Zwedru; Opens County Service Center, Dedicates Several Projects, Inspects Ongoing Works @ Grand Gedeh Community College. 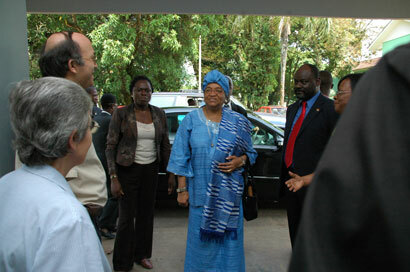 President Sirleaf Meets Visiting Members of the ECOWAS Parliament in Monrovia. 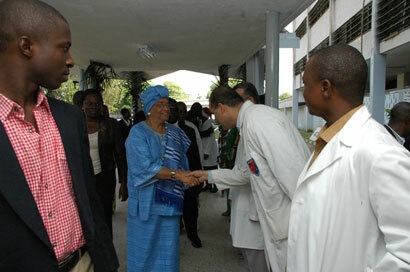 President Sirleaf Acknowledges MRU Achievements Amid Ebola; Congratulates Togolese President Faure Gnassingb�. 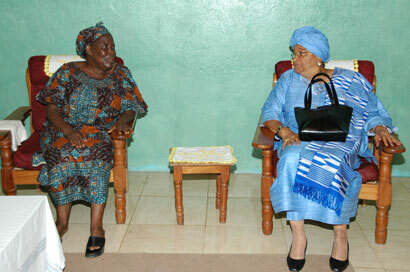 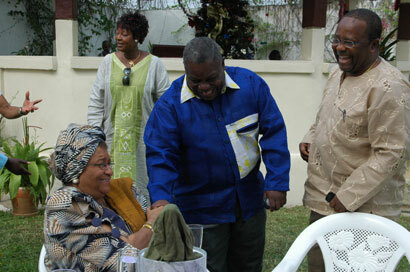 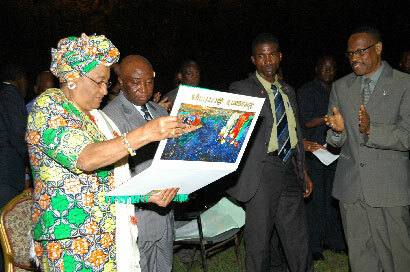 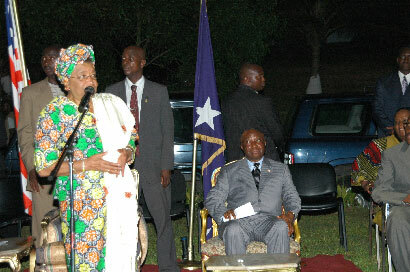 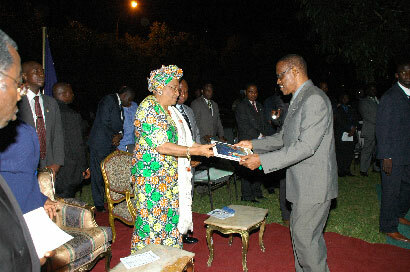 President Sirleaf Receives Several Visiting High-Level Delegations. 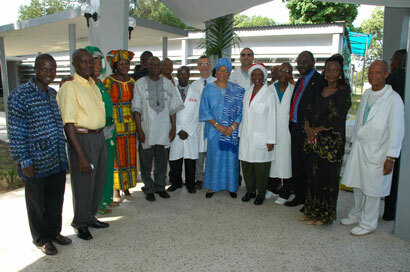 President Sirleaf Opens ECOWAS� Parliament Joint Delocalized Meeting on Health, Social Services, Trade, Customs. 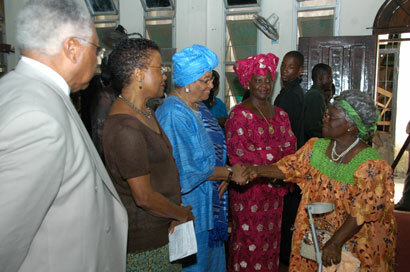 President Sirleaf making remarks at the funeral of the late Mary Brownell. 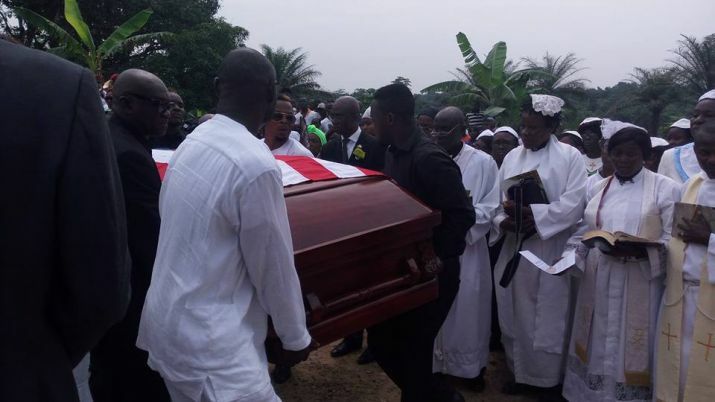 Casket bearing the remains of Mother Brownell.